There is increasing concern about mental health issues among a range of different groups, as well as growing recognition of the fact that mental health is as important as physical health. Children and young people today are facing more stressful conditions than older generations, including increasing competition for jobs, issues of self-identity and confidence driven by more widespread use of social media and the rising costs of housing and higher education. Evidence suggests most adult mental health disorders start in childhood. Research has shown that half of adult mental illness start by the age of 14, meaning prevention and early support is vital. This importance of the early years and need for more investment in support services needs to be at the heart of conversations in the corridors of power. If we do not tackle mental health problems in young people, they could face a lifetime of disadvantage. This is why during mental health awareness week CLOSER, the home of longitudinal research, has partnered with the All-Party Parliamentary Health Group to discuss the latest evidence on young people’s mental health and the vital importance of the early years and early intervention. Chaired by The Rt Hon Norman Lamb MP, experts in the field, including Professor Louise Arsenault, will discuss this pressing issue and potential solutions. So what does the longitudinal evidence tell us? Some of it seems obvious – if you face multiple disadvantages early on in life you are more likely to face difficulties later on. Children living in low-income households are more likely than those with the highest incomes to have mental health problems. And those in low-income households facing multiple debts with several creditors have poorer mental health. 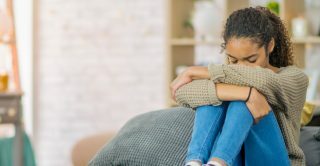 It is also clear that the impact of bullying is severe and long-lasting – people bullied frequently, or even occasionally, as children used more mental health services later in life than those who were not bullied. This reaches beyond the individual; it affects families, communities and support services. The economic impact alone should result in more investment earlier on in people’s lives, with particular focus on those in most need. Other aspects are far more complex and we’re still learning. Crucially, we need to continue collecting the vital longitudinal evidence we need to better understand what’s going on. Is, for example, one hour per day on social media enough? Young people’s interaction with social media can help happiness, but recent evidence has shown when they overdo it then the risks of depression and other emotional difficulties increase dramatically. Policymakers should consider the relationship between poor mental health and children’s wider circumstances, including family income. Strategies to measure, prevent and respond to mental ill-health should take into account changes in needs and experiences as children move into adolescence. Interventions also need to recognise and adapt to the differences between boys and girls in their experiences of mental ill-health at different ages. We don’t have all the answers yet but, by studying people throughout their lives and across generations longitudinal research is uniquely placed to help us identify the factors that are contributing to mental health disorders later on in a person’s life. With continued investment, these and the UK’s other world-leading social and biomedical longitudinal studies will continue to provide valuable data for research into the mental health of participants now and in the future. CLOSER’s Learning Hub is an online resource for those new to longitudinal studies. It includes a section about how longitudinal studies are used to increase our understanding of mental health.